We live in times where the global economy is fragile. So, it is important for business and homeowners to find good opportunities to save and invest money. If you want to add value to your property, it would be a good idea to build a mezzanine floor, especially when you have high ceilings. You can maximise your space by installing mezzanine floors and there are many good reasons how this expansion option can benefit you. Sometimes referred to as a mezzanine level, a mezzanine floor is built or installed within an existing building as an additional floor space. It can either be a partial level or an entire second level. Office buildings, manufacturing plants, warehouses and retail offices are businesses spaces that may benefit from a mezzanine floor. Mezzanine floors can also be installed in residential buildings with high ceilings. If you’re building a new house or you are planning a home renovation, you might want to consider constructing a mezzanine floor. This is quite useful especially when your property stands on a small land area. Even with a limited land area, you can still expand and have an extra floor space. You may not be permitted to build extensions to a building on lease. On the other hand, you can ask the owner to allow you to construct a mezzanine floor. It is likely that they will agree because such structure can be removed if you decide to relocate once your lease ends. You will have to deal with an expensive process when you decide to move to a property that is double the size of your current space. You will have to prepare a bigger budget for your new space and you also have to spend money on transporting your possessions. Meanwhile, with mezzanine floors, you wouldn’t have to move your whole life just to have an additional floor space. It is relatively simpler to construct and assemble mezzanine floors. It goes without saying that you will enjoy this extra floor space sooner. The construction period and turnaround time are faster so you can significantly lower labour costs. If you compare the time and money saved when you choose a mezzanine floor over an extension, the former is definitely a better option. It is worth noting that mezzanine floors are adaptable and highly versatile. Their design can be customised according to your needs and your building layout, allowing you to maximise the available floor space. You can also conveniently make alterations should your requirements change in the future. Compared to brick extensions, mezzanine floors allow you to make quick adjustments that do not cost a lot of money and time. Try to compute the cost of your rental space per square meter. Now, compare that amount to the cost of moving to a bigger space against installing a mezzanine floor. It would not be surprising to know that you would be saving more money with a mezzanine floor. So, why should you move when you can stay in your current home and expand your space without spending too much? The great thing about a mezzanine floor is that it offers a flexible design. You can use this extra floor space for virtually anything. Business owners can use it as storage or office space. On the other hand, a mezzanine floor can be a bedroom, a nursery or home gym for homeowners. Whether you extend horizontally or vertically, you have to go through rigorous inspections and reviews to ensure that it is safe to use your space. On the other hand, with mezzanine floors, you would only be dealing with simpler legal requirements. You wouldn’t have to build externally so you wouldn’t require extra land. This also means that you do not have to go to your local government to seek planning permissions. In most cases, it would suffice to complete your building regulation requirements. You would also avoid expensive legal services. Again, you can lower your building expenses. Whenever you make improvements to your property, you are increasing its market value. Mezzanine floors not only offer practical benefits but they also make your living or business space look better. You can design an enclosed mezzanine floor or you can make it look like an indoor balcony—like the ones you see in a theatre. A mezzanine floor is ideal in urban areas where the floor spaces and land areas are smaller. You can get a modern yet neatly organised vibe to your space, adding a unique aesthetic appeal to your property. When the time comes that you decide to put your property in the market, you will be able to sell it at a higher value. Even with a small land area, you will be able to offer a bigger floor space with a mezzanine floor. Mezzanines can be considered as additional square fit to the living space. 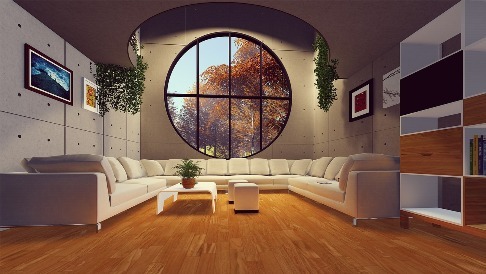 Aside from that, it would be easier to sell your property due to its chic yet modern design. It is undeniable that there are several benefits in installing a mezzanine floor within your existing property. Remember to hire an experienced and reliable contractor that specialises in building mezzanines. In this way, you can have a carefully planned layout that will make the space practical and functional.